Your birthday is a big deal and it should be celebrated in style! Why not celebrate your next birthday by taking your FIRST BREATH UNDERWATER? You and your friends can experience what it feels like to be weightless like an astronaut whilst looking like a superhero in full scuba gear! Ages 8-9 participate in a shallow water scuba diving session, with full scuba equipment, in water no deeper than 2m. Ages 10 and up participate in a shallow water Discover Scuba Diving session. *Parents are welcome to join the fun. Parties take place at the Ocean Comocean Dive Centre near Mooikloof. Our private, heated pool is 3m deep, with a shallow end of 1.5m. 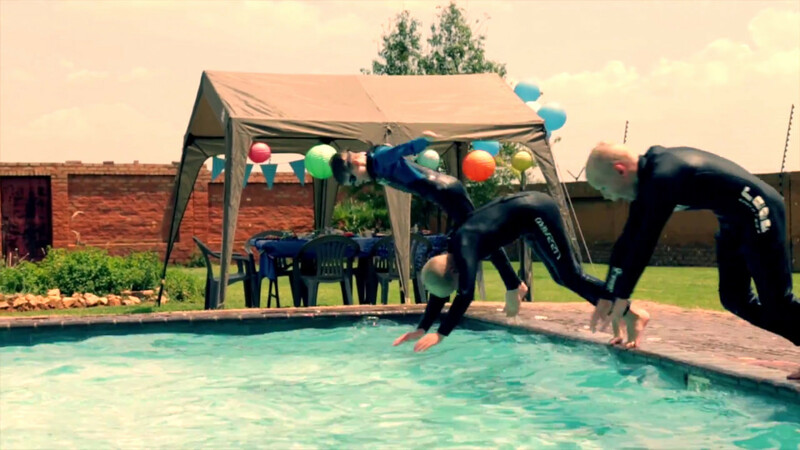 There are braai facilities which parents can make use of while the kids are enjoying the water. Saturdays and Sundays from 10:00 – 13:00 OR 14:00 – 17:00. Alternative days and times can be arranged. WHAT DOES THE PARTY INCLUDE? -Make your reservation well in advance. A non-refundable deposit of 50% must be paid to confirm your reservation. Each scuba participant and his or her parent/guardian must fill out and sign the appropriate waiver (based on age) before entering the water. If the participant checks “YES” on any condition on the medical history portion, the participant must receive a doctor’s approval before participating in scuba.